Welcome to Yeah Bud! Photography! 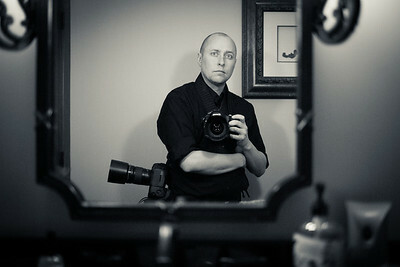 I'm Craig and I'm in the business of capturing precious memories. I believe the most beautiful photographs are love stories. My wedding albums are compelling visual narratives with lives of their own. When it comes to your wedding it is very important to book a photographer with a personality and aesthetic that matches your preferences. My unique style is the result of nearly a decade of wedding photography experience. I am easy-going, likable, organized, a perfectionist, and very driven to consistently produce great photos. I enjoy working with people and quickly befriend my clients, putting them at ease, learning about their unique identities, and teasing out their own creativity. Beyond capturing beautiful photographs it is all about having fun! If you're considering an investment in my photographic services please e-mail (Craig@YeahBudPhotography.com) or call (207-515-2173). Let's chat and find out if I'm your perfect fit. A password protected online gallery of all photos with the option to order various prints and products. A custom thumb drive containing high and low resolution duplicates of all photos. Please contact Craig for a custom estimate. A: The words I most often use are natural, vibrant, fun,stunning, narrative, sharp, organic, unique, candid, detailed, beautiful, powerful, editorial, real, and photo-journalistic. Q: How much for a wedding? A: My most popular wedding package starts at $2,600 for eight hours of documentation. Q: How do we book our wedding? A: Booking a wedding requires a signed contract and a non-refundable retainer fee of $1,000. 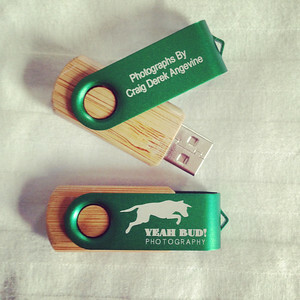 Please e-mail me at Craig@YeahBudPhotography.com for more details. The remaining $1,600 is due before the release of your final digital album. A: I use Pro Canon cameras and lenses. I also bring backup gear to all events in case a camera fails. Q: Do you edit your photos? A: All photos receive advanced digital editing including color correction, contrast adjustment, white balance adjustment, cropping, and more. Q: What editing software do you use? A: I use Adobe Lightroom for most of my editing. Occasionally I use Adobe Photoshop for advanced editing. Q: How will we get our photos? A: You receive your photos in a password protected gallery at www.YeahBudPhotography.com/ClientPortfolios. In this gallery you have the option to order various fine-art prints and other products. You also receive a custom thumb drive via USPS containing all your photos with duplicates in low resolution (for social networking, email, and internet use) and high resolution (for printing and viewing on large HD monitors). Q: How many photos will we get in our digital wedding album? A: From 700 to 850 fully edited images per eight-hour wedding package. A: Editing is a long and tedious process when dealing with thousands of images. Depending on the time of season your images are typically ready in four to twelve weeks following your wedding day. Q: Are we required to purchase digital files or prints from you? A: No. I like to offer my clients as much freedom with their photos as possible. Therefore a limited copyright ownership of all photos in the final digital album is included in my base price. This means you can order prints from anyone and share the digital files (JPEGs) with anyone. The only “limitation” is that you cannot sell the photos. There are no hidden fees or extra charges. Q: Do you offer custom quotes for smaller weddings, elopements and off season weddings? A: I do this. Please inquire by e-mail at Craig@YeahBudPhotography.com. A: I accept, cash, check, money order. I also accept Paypal payments at a small fee. A: I'll travel to the farthest ends of the earth to photograph your wedding day as long as my personal travel expenses are covered. Driving commutes totaling two hours or less come at no extra charge. Expenses for travel times longer than that are the responsibility of the client and require a custom estimate. Q: Will you shoot more or less than eight hours of our wedding day? A: Yes. For weddings I charge an hourly rate of $325 per photo-session hour. Q: Do you offer a second shooter option? A: Yes! Please inquire via e-mail for details.